This is a sponsored post in collaboration with Kroger, all opinions are my own. 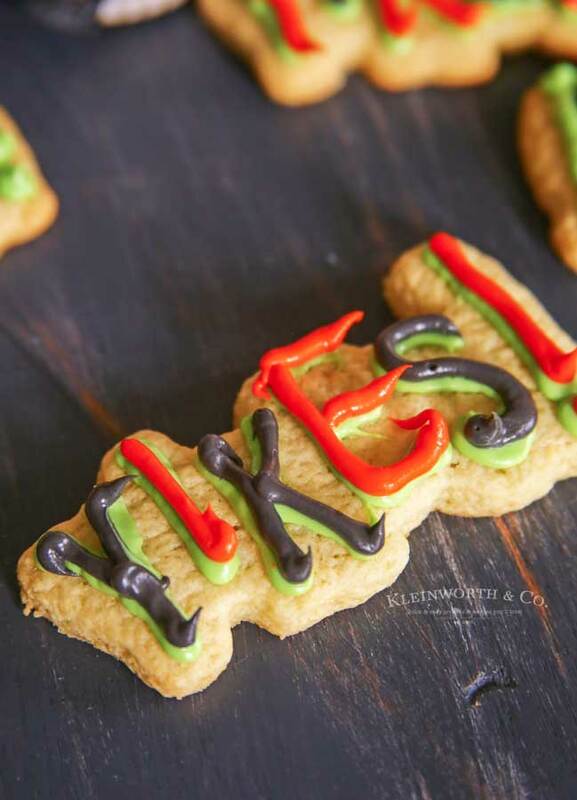 Whether you are hosting a Halloween party or need a little something to snack on while handing out candy, these Easy Halloween Party Treats are a must make! 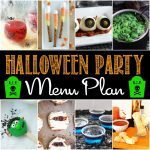 Are you excited about Halloween? 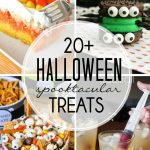 This year my girls want to have some friends over for a little party, which means I’m looking for super fun but easy treats for them to make with their friends. 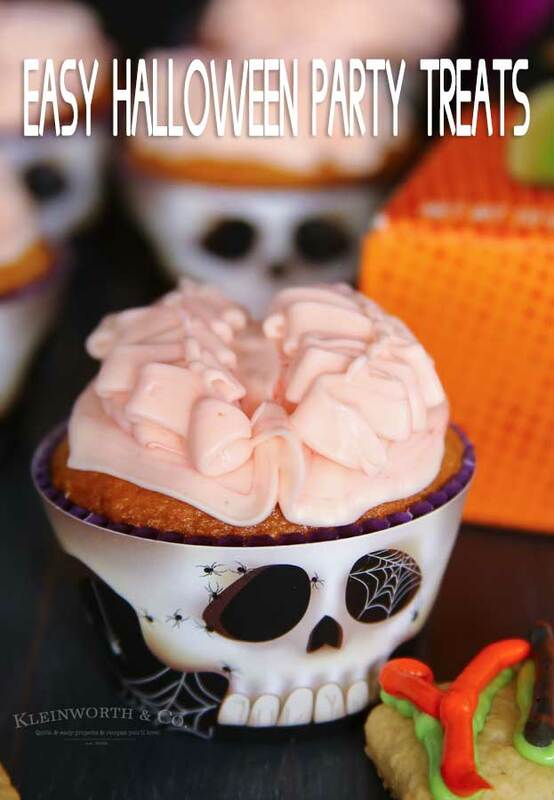 Check out these Easy Halloween Party Treats I have planned for the night. When it comes to hosting a party, fortunately, my girls are old enough that they can entertain their friends and the party sort of runs itself. I just need to provide the means of entertainment. 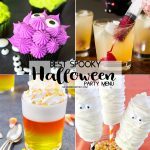 To make it really fun, I thought they would like to bake, decorate and enjoy some goodies as one of the cool things to do while everyone is here. 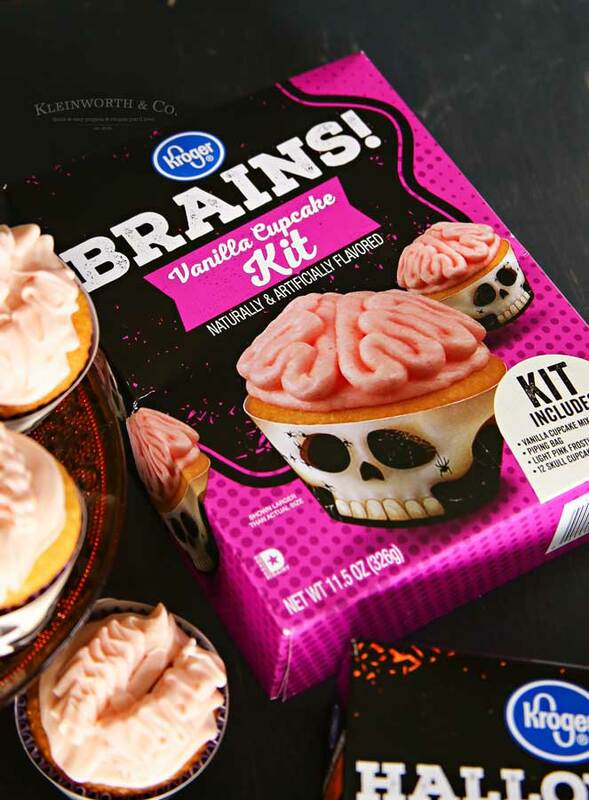 I headed out to Fred Meyer to start gathering all the supplies I would need for a Halloween themed baking party. 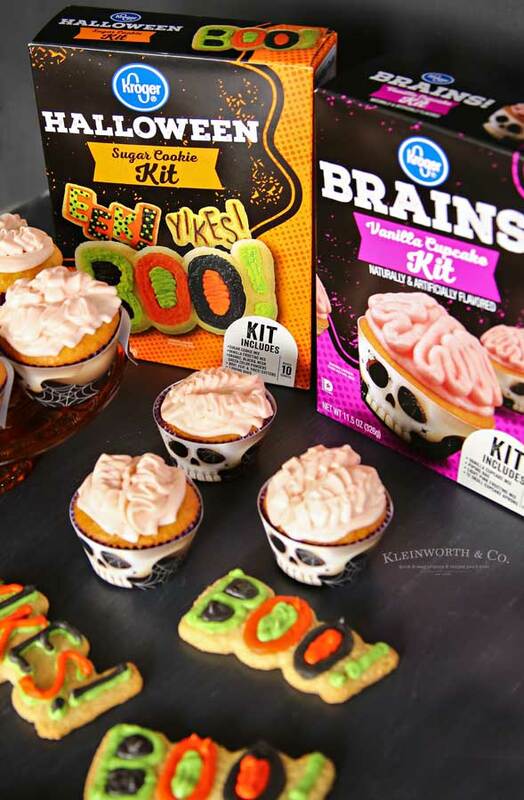 While I was picking up sprinkles and cupcake wrappers and fun monster eyes, I found these super cool Halloween Sugar Cookie Kits and Brains! 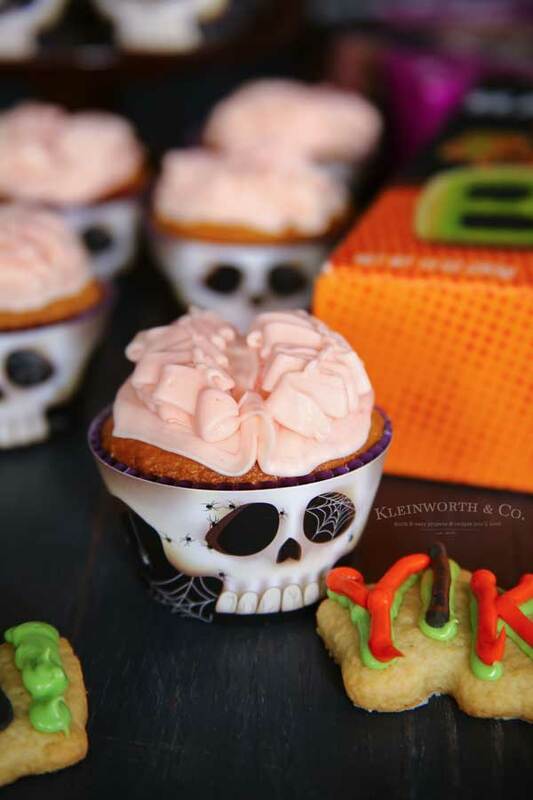 Vanilla Cupcake Kits from Kroger Brand. 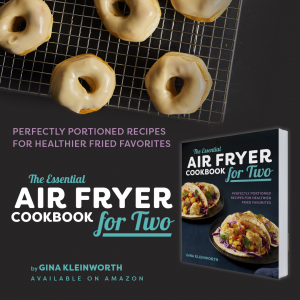 How do you make the Sugar Cookies? These are really fun. It is as easy as making the mix to the package directions by combining the mix with an egg and butter, then rolling out, cutting and baking. 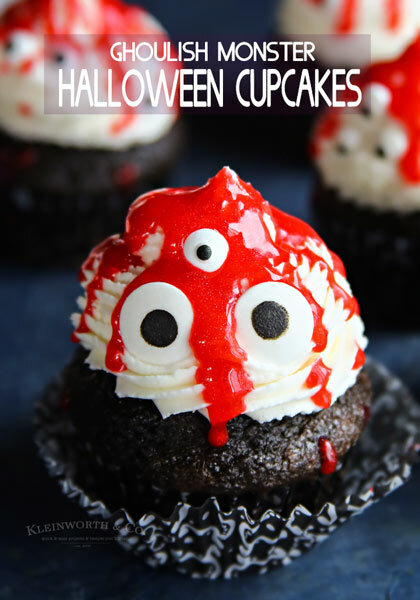 Then you can use the included frosting mixes to decorate. 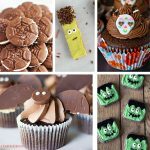 How easy are the cupcakes to make? You won’t believe how simple these cupcakes are. 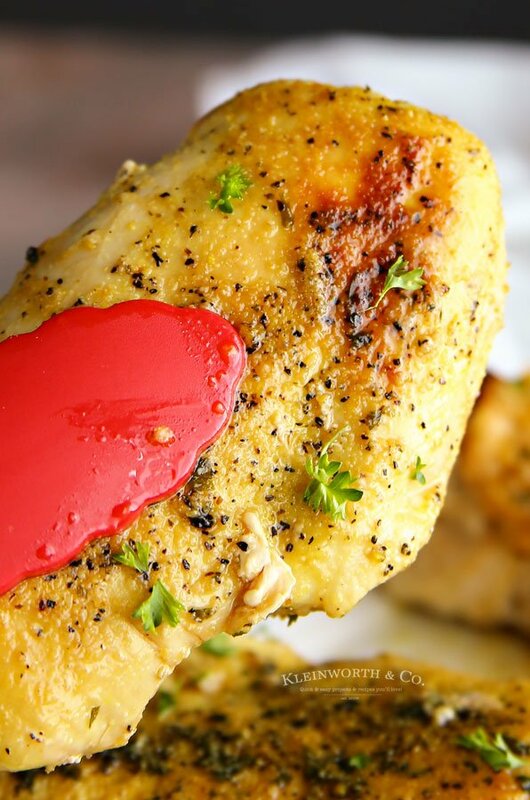 Just blend the mix with butter, water and eggs. Then scoop into the cupcake liners and bake. 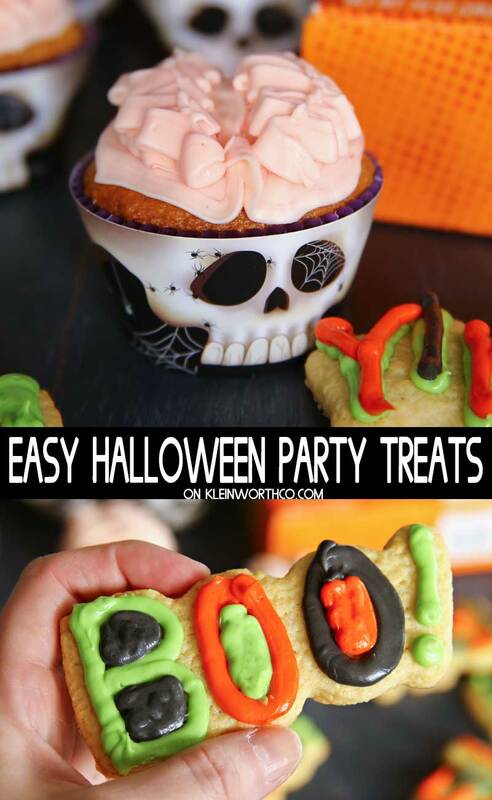 Then the kids can make the frosting mix & decorate. WHAT IS INCLUDED IN THE CUPCAKE & COOKIE KITS? 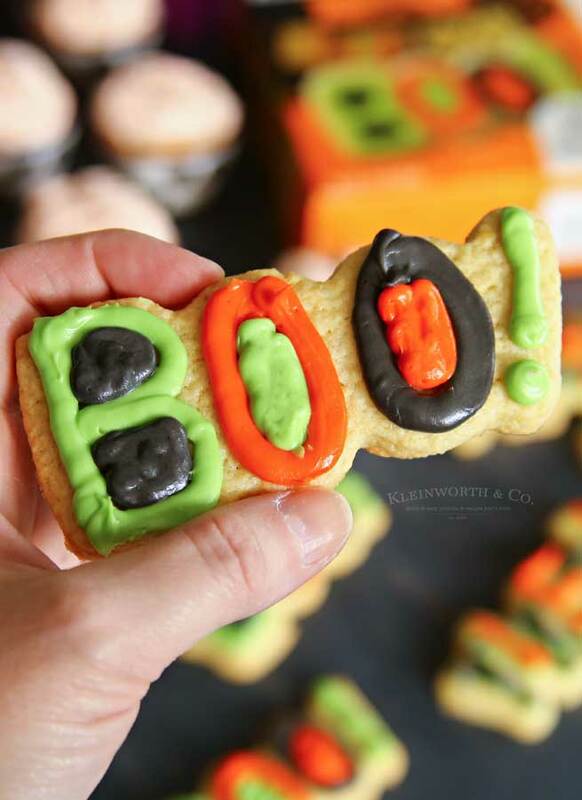 I love that these come with almost everything you need to create super fun Halloween goodies. Each box lists everything that is included AND everything you will need. Simple and straightforward so there are no surprises later. I think I will bake the cupcakes before the girls come over. This way they can focus on making the cookies & then decorate the cupcakes while they wait for the cookies to bake. These kits are sure going to make this party fun. Aren’t these just so cute? So easy too! Check your local Kroger Family of Stores here. So cute with the writing! Cute stuff! 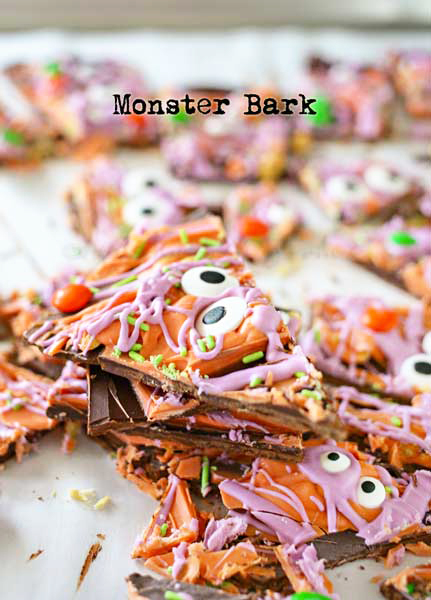 Love the Monster Bark.